On the American night of the 26th and the UK Dawn of 27th August, boxing will be released from its intriguing kidnap by Floyd Mayweather and Conor McGregor, as theyfinally meet in a ring at the centre of the T-mobile Arena, Las Vegas. Boxing’s release ransom has beenably raised by a live gate that,according to StubHub, is already the second best-selling fight in the company’s history (MayPac being No.1) which will combine with PPV sales to make this the largest grossing combat sports event, period. As Mayweather definitively retires a happy man and McGregor looks to plan his next oil, gold and diamond mining offensive, boxing has Gennady Golovkin v Saul Alvarez awaiting its release from captivity for a compelling return to its natural habitat. But back to the sparkling sportstainment of the MayMac feature attraction, because boxing will also enjoy its first steps towards freedom with a solid undercard which offers a blend of the past, the present and possibly the future, including two world title fights. 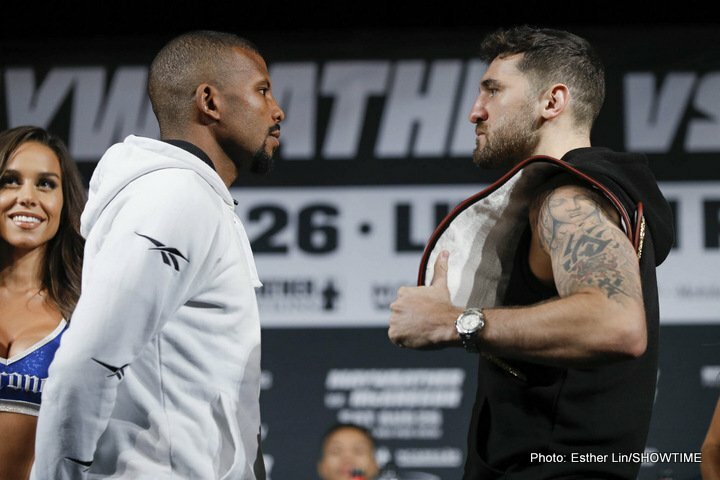 Chief support is Nathan Cleverley’s first defence of the WBA Light-heavyweight title that he took from Jurgen Brahmer back in October 2016. 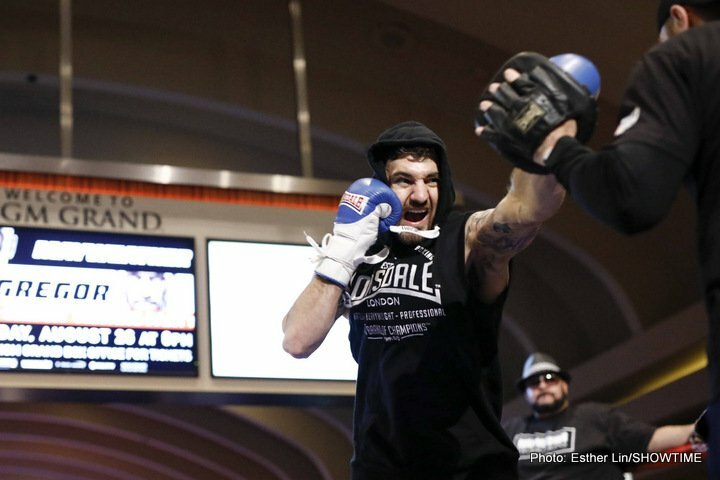 Cefn Fforest’s Cleverley brings a wealth of experience on his fourth fighting visit to the U.S,forged through a mixture of wins and losses in fights with Tony Bellew, Sergey Kovalev and Andrezej Fonfara. Badou Jack for his part has looked increasingly solid in a sequence of wins over Anthony Dirrell, George Groves, Lucian Bute and a majority draw against James De Gale. Jack has actually been installed as the 1/4 by Betfair, even though this is his first fight at Light-heavy following a 21-fight career at Super-middleweight. Prediction: Cleverley by Majority Decision following a bloody steak of a battle. 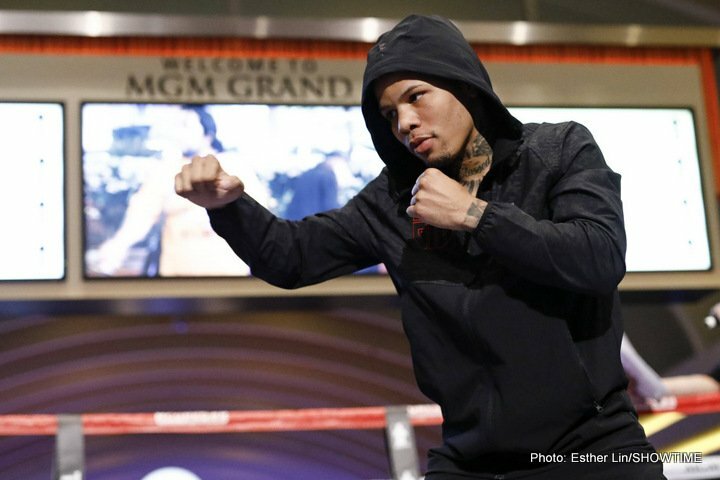 Gervonta Davis is the Mayweather Promotions fighter who looks to be tucked the most snuggly under Floyd’s wing and has been a fairly regular part of The Money Team entourage during the MayMac build-up. He is definitely one to keep watching and introduced himself to British fight fans back in May with a TKO victory over the unbeaten Liam Walsh, taking his record to 18-0 with 17 by knockout in the process. In this, his third defence of the IBF World Super-featherweight Title, he has been shrewdly matched with Costa Rica’s unbeaten Francisco Fonseca, who with 19 wins looks decent enough on paper but appears to have largely beaten paper opponents. Prediction:Davis by big, early knockout in front of an unprecedented global audience. As Steve ‘USS’ Cunningham boxes on into his 40’s he has mixed wins, losses and draws since he put Tyson Fury flat on his back, albeit briefly, back in 2013. 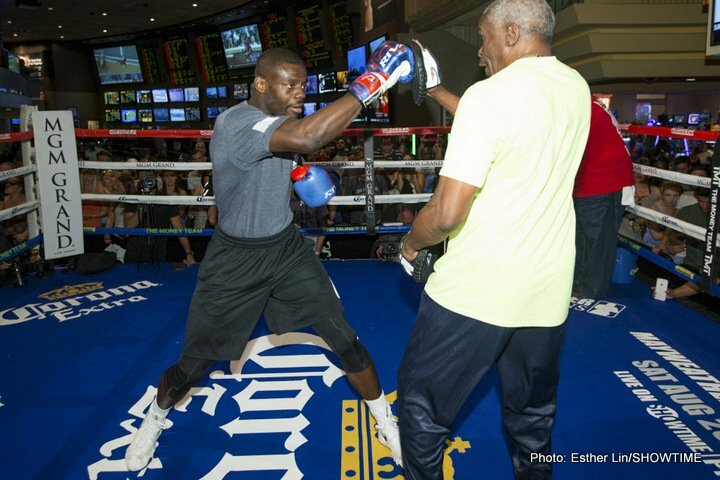 On the 26th he provides the litmus test for unbeaten prospect Andrew Tabiti who has compiled an impressive 14-fight winning streak with 12 of those coming early. They contest the NABF Crusierweight Title in what is a classic coming of age encounter for both men. Prediction:Tabiti by conclusive knockout, adding a good name to his resume as he steps onto the next rung. Other notables on the cardinclude former Welterweight world champion Shawn Porter looking to continue a return to winning ways and Savannah Marshall, the first British woman to win an amateur boxing world championship, making her professional debut. Next boxing news: Happy Birthday, James Toney – where does “Lights Out” rank all-time?